The Critérium du Dauphiné has delivered some of the best racing in recent years, a fine race in its own right while the Tour de France looms large and adds to the intrigue. There’s the prospect of a battle between Chris Froome and Alberto Contador and behind them is a long list of riders in need of a win. Here’s a look at the overall contenders for the race which begins on Sunday. There will be daily stage previews here during the race. The prologue is novel, just 3.9 kilometres but savagely uphill, a lung buster reserved for the climbers. Stages 1 and 4 are for the sprinters and unlikely to impact the overall classification. Stage 2 has a long, draggy uphill finish that will thwart most of the sprinters but should see a sizeable group come into sprint for the finish. Stage 3 has a very sharp climb late in the day to create suspense, again enough to condemn the sprinters but not big enough to tempt the main GC riders into wild moves. Stages 5, 6 and 7 are all summit finishes in different configurations but with relatively short distances, for example Stage 6 above is 141km. A lot of the climbs are steadier, 6% rather than the 8-10% you saw in the Giro. The prototype rider is a climber with a punchy finish for the time bonuses with 10-6-4 seconds at the finish line for Stages 1-7. 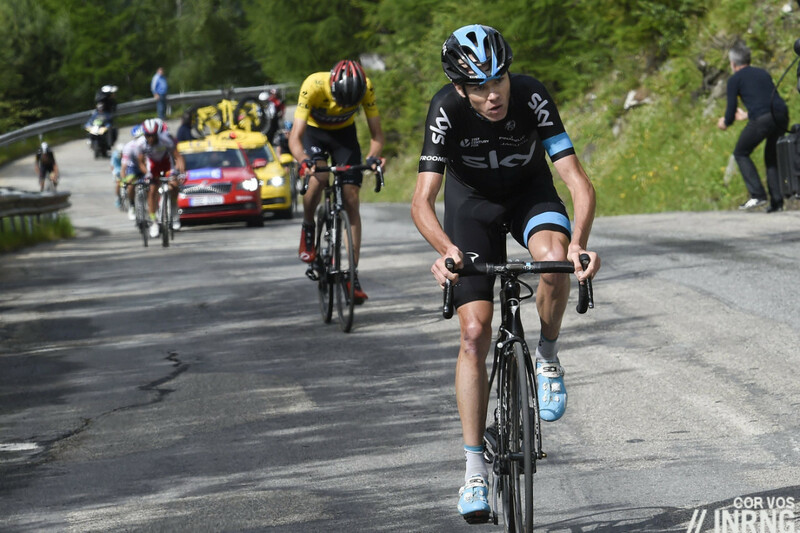 Chris Froome is the default pick. He’s won this race twice and each victory has been followed by success in the Tour de France so he’s bound to be back for more. A win would would set him and his team at ease, he took the Herald Sun Tour in February and a consolatory stage win in Romandie after a mechanical saw him distanced from the front group. Mikel Landa rides too, presumably his Giro stomach troubles went as quickly as they came and he’ll make a strong double act. As ever Team Sky come with a packed roster with Wout Poels and Sergio Henao very capable in the mountains and possible alternatives for the GC too. It’ll be interesting to see what Michał Kwiatkowski does, has he found his climbing legs or is, say, Stage 2 ideal for him? Alberto Contador says he’s not got high ambitions for this race, only the Tour de France matters. Translated it probably means he’s planning to rip his rivals apart and regale us with that pistolero gesture and his carnivorous grin. Certainly an aggressive and confident performance would help his plans to launch his own team and when he’s said he wanted a quiet Dauphiné before he ended up racing very hard. The course suits him perfectly and given he’s only racing intermittently this season he should be up for a result here which means he’s often compelling to watch. 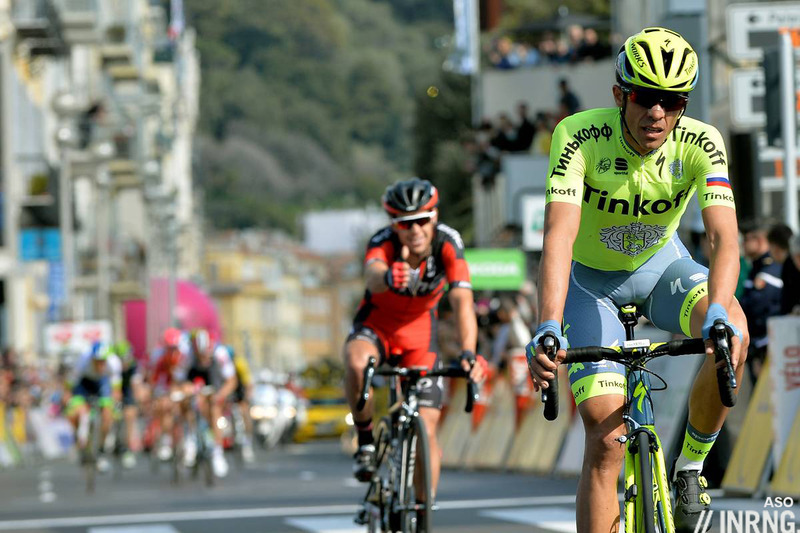 Tinkoff bring a team built around him without the need to accommodate Peter Sagan. Do you remember what Fabio Aru looks like? Just checking because he’s hardly raced this year and hasn’t finished a race since March. It’s hard to find a race photo of him from 2016. Instead he’s been living at altitude as he prepares for his Tour de France bid. Like many this means his form is a mystery but if he could design a course surely he’d like this year’s one because even the time trial is uphill and he’s proved most able in summit finishes so far in his career. Given the lack of racing even finishing this would be a start but surely he and Astana will want a lot more. Whether this is just a target score on the power meter or the race yellow jersey remains to be seen. But with Vincenzo Nibali due to start the Tour de France a big ride here would bolster Aru’s position; flop and Vinokourov could demote Aru co-leader come July. Politics aside Astana bring a very strong squad with Luis-Leon Sanchez and (the apparently Sky-bound) Diego Rosa both capable of a high finish. Thibaut Pinot doesn’t need a result here, he’s impressed enough this year. A steady but not spectacular ride would help reduce the pressure on him for July. He would have preferred another time trial but this year’s route suits him as he may be a climber but prefers steadier gradients where he can pace himself rather than anything too vicious and the summit finishes along the way are his kind. A win here would be huge but a podium or the top-5 now seems entirely reasonable. FDJ bring Pinot’s Swiss Guards in Steve Morabito and Sebastian Reichenbach. Richie Porte and Tejay van Garderen’s duet is separated this month. BMC Racing will be hoping for more than Romandie where Porte was ill with talk of the after effects of pre-Rio vaccinations knocking him back. Before that he was third in Paris-Nice and fourth in Catalunya and a podium seems emminently possible. While he’s still not a certainty for grand tours he’s ideal for week-long stage races like this. Porte seems a wise choice for BMC in the Dauphiné, he’s punchier than TvG when it comes to taking time bonuses. BMC bring a team to support Porte and there’s Greg Van Avermaet and maybe Rohan Dennis for a stage win along the way. 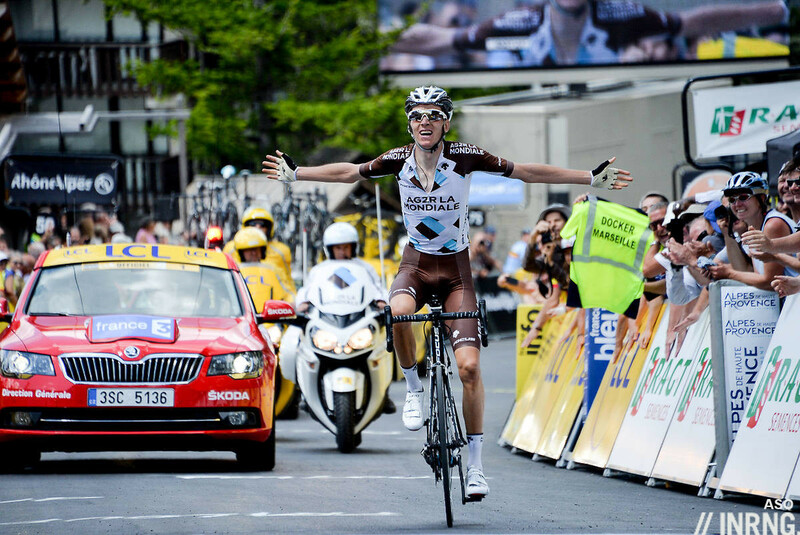 Is Romain Bardet a fearless stage hunter or a GC contender? He took a brilliant stage win at Pra Loup last year thanks to his bold descent of the Col d’Allos and while he’s got a perfectionist streak when it comes to training and team leadership once he’s got a number on his back he’s attacking instinct takes over. Alexis Vuillermoz is returning from his heavy crash in the Amstel Gold Race so this week should be about finding his legs. A few years ago Joaquim Rodriguez would have been an obvious pick given his climbing abilities and his trademark kick at the top of a climb but he’s not getting the results any more, a contender for the top-10 but the win seems beyond his reach. Katusha team mate Jurgen Van den Broecke is known for finishing high on GC but rarely winning anything, now in his 13th season as a pro his only road race win came in a stage of the Dauphiné. What can Tony Gallopin (Lotto-Soudal) do? He’s been asking himself that question ever since he was hanging inside the top-10 overall during the Tour de France last summer after several mountain stages. 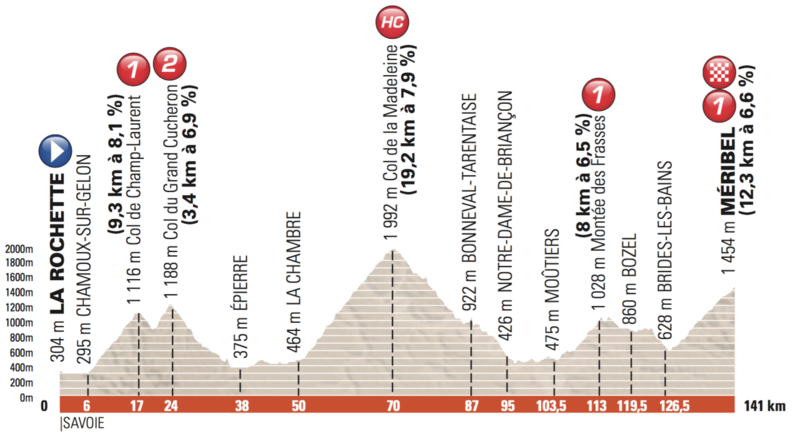 The route here could suit him with its lack of real high altitude but maybe he’s better off picking stage wins? The latter is more risky than trying to ride a top-10 but possibly more achievable. Quintana rides, Dayer Quintana that is. With Nairo only doing the Route du Sud before the Tour de France and Alejandro Valverde putting his feet up after the Giro Movistar bring a lighter squad. Jesus Herrada and Daniel Moreno are solid picks for top-10s in the mountains and Rubén Fernández is one to watch, a former Tour de l’Avenir winner who has yet to deliver a result to match even if insiders say this only a matter of time. Adam Yates (Orica) and Dan Martin (Etixx-Quickstep) could be a good for a stage win but it’s hard to see them consistently trumping all the names above. TV: Sunday’s prologue and the final stage the following week finish at 2.45pm Euro time. All the other stages are due to end at 5.10pm. It should be available on the same channel you watch the Tour de France and Eurosport. If not then cyclingfans, cyclinghub and steephill.tv have schedules and streams. Really looking forward to this. The prologue should be fascinating. Alaphilippe not merit a mention in the preview? Alaphillipe will get cited in the daily previews. Interested to see how he does in the prologue and then on Stage 2 but a week in the high mountains versus Froome, Contador, Aru? I can’t see him beating them. The weather forecast is very iffy over there, Inrng eh? One feels Mr Contador and his team will be gassing the descents? No wonder Sky are going with a back-up or two! The forecast for next week looks good but with a less than certain rating, ie a 60% chance of summer rather than any more confidence. 60% chance of summer. Pretty much sums up what it’s like to be a cyclist in the UK at this time of year. 40% chance that the season will pass us by entirely. This race is unlikely to be contested seriously. Hope they get warm to it, and then so will I, but I don’t think so. Shame. The most interesting thing for me at this point is perhaps how well can Lars van der Haar cope with the big climbs. Hope LvdH’s not tempted to get off and run up them! He’s quite light and powerful and therefore has great acceleration in sprints, which I’m sure he can also use in uphill finishes. But he’s probably not able to cope with Sky-train-dominated tempo climbing. Yet he’s also quite brave and I believe he’ll try. Why do you say it won’t be raced seriously Ferdi, when the article’s opening line sets the background perfectly? That’s a pretty bold statement to make without offering any reasons whatsoever to back it up. The last three editions have all been great, especially 2014. 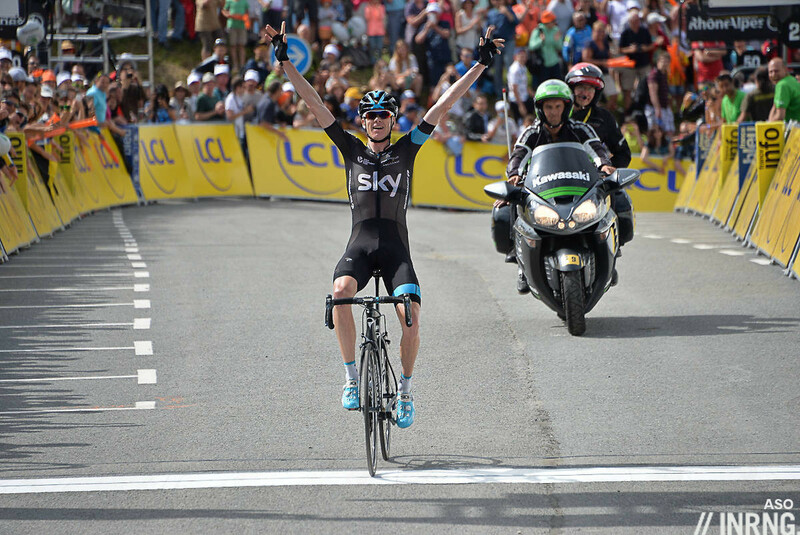 And for all the starters bar Froome and Contador, winning the Dauphiné is a major scalp in its own right. I just have the feeling that neither Froome or Contador or the others, this time, are very serious about winning. If they can win “en passant” they will, but their hearts will not be at it. Everyone is probably shorter in form than in previous years. No one wants to be too cooked during the Tour de France’s final week, especially after seeing Quintana last year, and the mountainous Olympics are waiting behind. But it’s basically my feeling, probably caused by a Giro that was too good and too un-Sky for me to be able to be think positively about going back to “Tour-esque” races. For example, the objective reasons would be the same about the Tour de Suisse, and even worse, given the field and way the Swiss race is being raced these years. But I have the feeling that it will be more deserving of attention, this year, than the Dauphiné, perhaps because of the course, which is way more attractive in Switzerland (even though the TT-mountain balance has deteriorated, it’s still far superior to the flat TT-less race that I still struggle to believe ASO has turned the Dauphiné into, making this traditionally superb race a bit of a joke). All of which I say with a lot of honest respect, because I feel big, traditional one-week races deserve real, full attention in their own due right, from riders, media, and fans. Somehow the Spanish and Italian ones are getting away with it, but I don’t like what’s happening to the French and Swiss ones. At all. Even a very good Dauphiné, like 2013, felt a bit tasteless and forgettable, as if a world-famous Asian cook had unemotionally delivered a perfect, spotless boeuf bourguignon in 30 minutes, which still tasted less rich and identifiable than the one your grandma made in 2 hours, in spite of the latter’s defaults. Hope I managed to make myself readable. I’m not as articulate as Gabriele, and certainly much less patient. I could say “I miss the Grand Prix du Midi Libre”, and for me that would somehow sum it all in a nutshell, but I guess it wouldn’t mean as much to other readers. Sorry if I am too subjective and bold. I think I know what you mean – too many of these end up being sort of “dress rehearsal” for Le Beeg Shew in July. The GC contenders won’t kill themselves to win one of these, but they’ll enjoy the psychological boost that besting their rivals can bring…all the while hoping they haven’t peaked too soon. For me it’s also the loss of so many who could race all season to specialists who care only for LeTour…and failing that, try to salvage their season at La Vuelta before starting their programs for the following season’s Grand Boucle. Please note I am NOT calling out any specific riders or teams, there’s plenty of guilt to go around. It was a very articulate and full answer Ferdi, many thanks. I see your points also. Hopefully, with such a keen competitor as Contador in the race, he can be the catalyst to pull the others out of their shells. I mean, even if he’s not on full form, the guy is an inherent racer and will try something – it’s in his nature, like Nibali, even if it goes horribly wrong. So this is bound to light up the field and stop the Sky effect that you fear. TV – RAI Sport will cover this too. Might help my post-Giro withdrawal symptoms…. Perhaps the best of the shorter stage races of the season, a form guide for what’s to come and without the hideous scale of the Tour. I have Contador winning this (been aggressive all year and never won here), Froome being second and Pinot rounding out the podium. Hopefully with so many top contenders we get a proper race! Who’s the BMC rider behind Contador? Porte? Any ideas why he’s giving the thumbs up and smiling? Check out stage 7, Paris-Nice this year. I am hoping for a French winner. Allez Coppel, Pinot, Bardet ! Quintana rides the Route du Sud as he did in 2015, too. I’m not sure, but I think he rode Duphiné only once, as a neopro, and didn’t even went on to ride the TdF. I guess he might like the Route du sud for the fine memories. 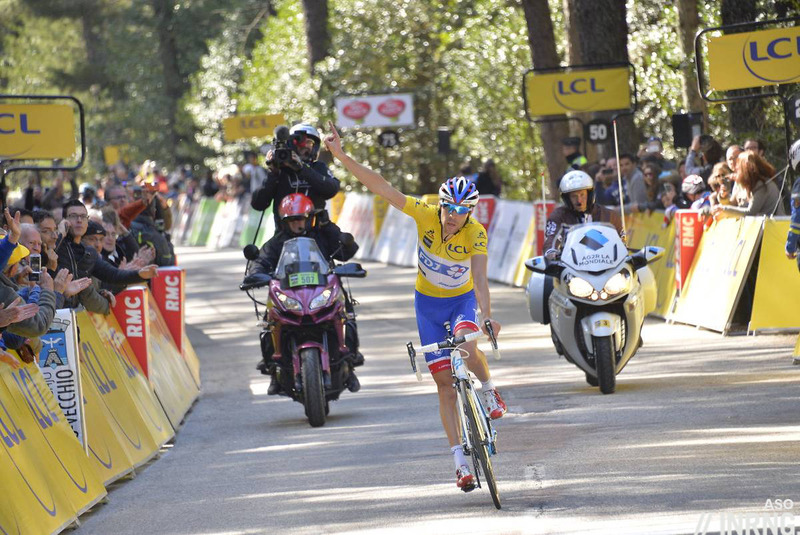 That same neopro season (2012) it was there where he took home his first serious elite GC (he had won Vuelta a Murcia but that was two-stages-long) with a demolishing performance in the 205 kms long Tourmalet stage. Only *one* contender arrived within five minutes and only 8 riders could limit their time loss under the ten minutes mark. It wasn’t a great field, yet it was an amazing performance (however, some decent riders were there and fighting, like Dupont, Charteau, Elissonde, Pardilla… Other potential rivals simply let the race slip away when it became too hard, as Pellizotti, Kadri, Fedrigo et al.). Honnestly I have never enjoyed this race much, even the last 2 editions that were actually very spectacular. I don’t know why, it is maybe too much like a pre Tour race, where everything is looked in function of what may happen in July. This said, Froome always try o win this race, and I am sure Kontador will be quite motivated after having announced he will continue. Anyway, from what I read, there are many not too steep but long summit finishes. For me it is more favourable to Froome (except if Kontador finds the way to do a Kontador).